Forty years ago today, George Harrison took to the stage with a host of his celebrity friends for what is regarded as the first large scale multi-artist benefit concert – The Concert For Bangladesh. Look To The Stars Feature Editor Tim Saunders looks back at the climatic and political events that led up to the concert, and the on-going effects the show has had on celebrity charity events. In early November, 1970, the Beatles were just about to break up and something wasn’t right in the South China Sea. As Paul McCartney prepared his legal suit for the dissolution of the Fab Four after months of tempestuous fighting within the band, merchant shipping reported a storm was brewing to the south east of India. Moist, hot air was rising off the warm sea, sucking up water vapor as it went. When it reached a few hundred meters in height, it began to cool, condensing and becoming saturated. The low pressure system that was forming started to react with the high pressure system around it, swirling round like some celestial being was mixing a cake. Not known for being the calmest body of water in the world, the South China Sea encompasses an area of 3.5 million square kilometers between the Strait of Taiwan and Singapore. Hundreds of islands – mostly uninhabited and filled with legends of buried treasure – are strewn over the endless blue canvas like stones thrown by a child. Idyllic in the summer, when yachties would anchor around the tropical paradise, the area is an ideal haven for pirates, waiting to pick off the holiday makers who search for peace in the humid weather. The storm that formed in November, 1970, was just one in a long string of extreme weather systems that hit the area year after year. Meteorological offices watched it form, named it Tropical Cyclone Nora, and then didn’t take much notice. Even after three days, when it moved over the Malay Peninsula, it was just classed as another storm. Apart from shipping, there was no one out there to be affected. On November 8, the cyclone moved into the Bay of Bengal, the triangular expanse of water sandwiched between the east coast of India and Myanmar. There it remained stationary, and should have petered out into nothingness. But it didn’t. It kept growing, and finally authorities decided it was worth worrying about. On November 11, Tropical Cyclone Nora was mobile again. By now, winds had increased to 185km/hr and a central pressure of 966 hPa relegated it to Category 3 on the Saffir-Simpson Hurricane Scale – a classification used to categorize major hurricanes. With the highest category being 5, Tropical Cyclone Nora was rapidly turning into a major event. While the storm brewed in the Bay of Bengal, the Indian government was receiving reports from ships and closely following the storm’s path. Met officials decided it was most likely to head towards Pakistan, and moves were immediately afoot to warn the country. However, these warnings were blocked at the last minute due to the hostile territorial disputes between the two countries. India decided to sit back and watch as the monstrous storm slammed into its neighbor. The storm, however, didn’t surprise all of East Pakistan – now known as Bangladesh. A “Great Danger Warning” was broadcast over the radio just hours before Nora drew landfall – however, most of the people living along the coast didn’t own radios, and those that did had no idea what the strange signal meant. But those who lived by the sea could see that something big and black was moving in from the ocean, and many of them stayed up into the night to watch it hit – only 1% of the population sought refuge. The waves, when they came in the early hours of the morning, were at least 10 meters high. The wind ripped people off their feet, carrying them through the air like plastic bags. Houses, with their thin walls and thatched roofs, were torn apart and smashed into oblivion. Crops were snatched out of the ground, whole villages were wiped out within minutes. Offshore islands, populated by fishing communities, were completely devastated. There were no survivors on the 13 islands situated near Chittagong, Bangladesh’s main seaport and second largest city, and 75,000 people in the subdistrict of Thana, Tazumuddin, were killed – around 45% of the upazila’s total population. 85% of the homes along the coast were completely destroyed. But the carnage didn’t stop there. The coast – which supplied 80% of the food for the locals – was hit hard. Over 9,000 offshore fishing boats were destroyed. Another 46,000 fishermen lost their lives, devastating the fishing capacity by 65%. Over US$63 million worth of crops and 280,000 cattle disappeared, adding to the total damage bill of US$86.4 million (which works out to around $450 million at today’s rates). Over 3.6 million people were affected and needed aid quickly. Another 500,000 people were beyond aid and lost their lives in what still reigns as the deadliest tropical cyclone on record and one of the worst natural disasters ever. Relief efforts from the rest of the world were quick. The US – under orders from President Nixon – promised $10 million, blankets, tents, food, helicopters, and over 200,000 tons of wheat. The British navy stepped in with rescue teams, helicopters, and supplies, and the British Disasters Emergency Committee – who were to be heroes of the region 34 years later during the Asian tsunami – raised 1.5 million pounds in aid from the British public. The United Nations handed over $2.1 million in food and cash, while UNICEF began a drive to raise $1 million. Other nations also turned out to help, but very soon it became apparent that something very nasty was wrong. The aid wasn’t getting to where it was needed most. Warning bells started to ring when rafts donated by the British Red Cross were ceased by Government officials. Air drops of much needed supplies were canceled by government agents for no reason. The Pakistani government itself only gave relief workers the use of one of its helicopters and survivors were blocked from sleeping in tents supplied by foreign aid. CARE International – one of the world’s top three aid agencies – pulled out of East Pakistan after only a week due to the frustrating red tape botch ups. The government’s bureaucratic insensitivity led to America withholding $7.5 million of their promised aid, which then led to Pakistan refusing to let American Peace Corps volunteers into the areas where they were most needed. But even though the aid was sporadic, over 75% of the population of East Pakistan were still relying on food from relief agencies three months after the cyclone hit. What was viewed as governmental incompetence by the public of East Pakistan led to an intense dissatisfaction over the relief efforts. In December, the Awami League – the largest political party in East Pakistan – swept into power in the general elections, promising a massive increase in aid. In actual fact, the party’s leader, Sheikh Mujibur Rahman, used his new-found power to whip up support for East Pakistan’s independence from West Pakistan. He used the discontent that had been brewing in the country over politics, military and even language differences to act together with the devastating cyclone and create change. Students marched in Dhaka, followed by general strikes and isolated outbreaks of violence. By March tensions between East and West Pakistan had risen to such a point that aid agencies started to evacuate workers in fear of the escalating violence. They got out just in time – on March 25, 1971, West Pakistani troops were ordered to squash any resistance by any means necessary. “Kill 3 million of them and the rest will eat out of our hands,” declared Pakistani President Yahya Kahn as atrocious violence erupted throughout the country. East Pakistan doctors, students, teachers, and intellectuals were systematically murdered, over 200,000 women were raped (leading to a massive plague of unwanted births 9 months later) and 10 million refugees escaped over the border to India. Something needed to be done – and it came from an unlikely source. George Harrison was only 26-years-old when The Beatles gathered in the studio for the last time in January, 1970. In the same room sat Ringo Starr, morose behind his drums, and the mercurial Paul McCartney. John Lennon wasn’t there – he’d already gone off with Yoko to start a new life. The strains of a massively public life dissipated into thin air as I Me Mine was laid down, effectively bringing the greatest musical collaboration of the time to an end. The “Quiet Beatle” – as Harrison had become known – had grown disillusioned with the band and fame for a number of years, and felt constrained by Western pop music’s narrow margins. Born the son of a bus conductor in Liverpool, he had started dabbling in Eastern music and culture during the recording of 1965’s Rubber Soul album, introduced to the sitar by David Crosby of The Byrds. The sounds of the stringed instrument sowed the seeds for a love affair that would last the rest of his life – not just for the instrument, but one that would encompass all facets of Indian life and religion. By 1968 he had turned his back on most of the usual trappings of fame, telling reporters he found being a Beatle trivial and that he no longer enjoyed it. The year before he had led his fellow band members to Wales to meet his new guru, Maharishi Mahesh Yogi (a trip that was cut short following the news of Beatle manager Brian Epstein’s death), eventually taking the whole band to India to study meditation. Harrison’s sitar playing was influenced heavily by a man who was to become his teacher, his friend, and would ultimately play a massive part in the concert that was to follow. Ravi Shankar – or Pandit, as he is known by his fans – was born in Varanasi in 1920, and is responsible for increasing the popularity of Indian music in the West in the 1950s. After training to be a dancer, he soon realized his future lay in composing music for traditional Indian instruments – particularly the sitar. After founding the Kinnara School of Music in Mumbai in 1962, Ravi embarked on a recording career which saw him recording in the same studio as The Byrds. Harrison first experimented with the sitar for Norwegian Wood (This Bird Has Flown) on 1965’s Rubber Soul album, but he was finally introduced to Shankar a year later when he flew to India to study sitar with the musician. The sitar – and Indian culture and beliefs – became one of the most important musical influences on the “Quiet Beatle” from that time on, featuring on tracks such as Tomorrow Never Knows, The Inner Light and Sgt Pepper’s Within You Without You, as well as a large part of his first solo LP, 1968’s Wonderwall Music. It was Ravi Shankar who approached George Harrison about getting a few artists together to raise support for the people of Bangladesh following the events of 1970 – just a few years before, Ravi had been part of the Monterey Pop Festival, which saw a bunch of musicians perform together for a number of charities. His initial aim to raise $25,000 and his idea of a small concert, however, were soon blown apart as the former Beatle came on board. Harrison’s star power and long list of musical friends saw – in the short space of five weeks – the first ever major charity concert for a single cause come to fruition. Along with Harrison’s former Beatles bandmate Ringo Starr, a plethora of stars appeared at two shows that took place on August 1, 1971, at Madison Square Garden in New York. Eric Clapton, Bob Dylan, Billy Preston, Leon Russell and Badfinger all performed, as did Ravi Shankar. Over 40,000 people attended the shows, which took place at noon and 7pm, raising over $250,000 to be used by UNICEF to assist in the crisis. The concert was captured on film and released on vinyl, which still continue to raise money for UNICEF, eventually raising over $15 million for the cause. Last week, the show was released on iTunes for the first time. It was the ongoing success of the Concert for Bangladesh that created a template for shows such as No More Nukes in 1979, Amnesty International's massive humanitarian rock tours of the early 80s and – of course – Live Aid 14 years after George and Ravi brought relief to the people of Bangladesh. Up until that point, benefit concerts had been small affairs, from political rallies featuring Woodie Guthrie in the 1930s, to concerts where artists and activists came together in the late 60s, only to have their messages lost in the purple haze of the Summer of Love. The Concert of Bangladesh was the first real example of serious artists using their art and star power to raise money for a single cause. 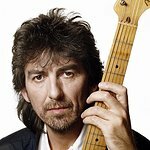 “George Harrison was a pioneer who understood the power of rock music to move people to embrace causes larger than themselves,” said UNICEF Executive Director Ann M. Veneman on the 35th anniversary of the concert in 2006. Today, The George Harrison Fund for UNICEF still raises money for UNICEF programs in Bangladesh, but it goes much deeper – it also provides lifesaving assistance to children suffering from civil conflict, natural disasters and poverty elsewhere. In 2001, George Harrison passed away, leaving behind a legacy as one of the most influential musicians in the history of rock ‘n’ roll. In 2006, a plaque commemorating the concert was laid at Madison Square Garden by his widow. Last week, in celebration of the Concert For Bangladesh’s 40th anniversary, UNICEF announced a Month of Giving, with musicians and performing artists across the world will engage with fans at their concerts, and by tweeting and posting content to their websites and Facebook pages. This time, the cause is the Horn of Africa , which is facing what is being called the worst drought in 60 years. More than 2 million children are acutely malnourished, including half a million children who are at imminent risk of death if they do not receive immediate lifesaving assistance. Without a doubt, George Harrison – and Ravi Shankar – changed the way celebrities give their time to charity causes, and left a mark on history few will ever forget.